New Delhi: Delhi health minister Satyendra Jain asked the homeopathy fraternity if they could come up with a “permanent” solution to tackle dengue which affects hundreds of people annually in the national capital alone. “Homeopathic system of medicine is capable of healing most of the diseases of the time. Delhi has been facing a dengue problem, if homeopthy comes up with any permanent solution for the prevention of dengue it would be a great help to humanity,” he said. He was addressing a gathering at a symposium on dengue and homeopathy here, jointly organised by the Board of Homeopathic System of Medicine and Delhi Homeopathic Federation on Sunday, according to a statement. Mr Jain further said the AAP government will focus on providing “more fund and attention to its AYUSH programme in order to make homeopathic system more popular. 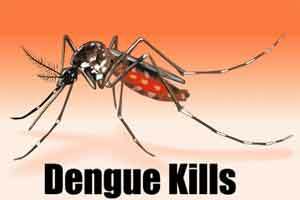 May 16 is being observed as National Dengue Day. Several experts present at the symposium were of the view that homeopathy has a large scope in both effective prevention and treatment of dengue fever thereby reducing the disease burden in the country, and tangentially, also reducing the overall cost of preventive programmes carried out by the Central and state governments every year during the wave of dengue epidemic in the country. It was mentioned that Central Council of Research in Homeopathy (CCRH) ran a preventive trial in the first ever reported worst year of dengue outbreak in 1996, and the results were reassuring. Homeopathic remedies have the effect in “improving” the platelet counts in haemorrhagic dengue, which can result in the fall in the platelets and can even cause death, they said. “Homeopathy is very effective in cases of dengue. We have both types of treatment-preventive and curative,” claimed A.K. Gupta, president of Homeopathic Medical Association of India (HMAI) Delhi. At least seven cases of dengue has been reported in the national capital with five of them in the first 10 days of April, according to a recent municipal report. Dengue and such diseases are easily preventable diseases provided administration is serious about eradicating the awefull sanitary and hygenic environment in the capital city of delhi. though treatment part is also important, it may come from any system of medicine. Very true. Prevention is always better than cure. Authorities should take all preventive meaures. Awareness camps and strict preventive measures to be taken.